Average-speed cameras for all motorways? | What Car? 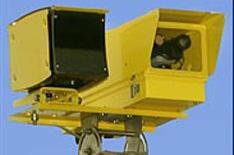 Average-speed cameras for all motorways? Average-speed cameras could be installed on all motorways to help slash the UK's CO2 emissions, according to the Government-backed Sustainable Development Commission (SDC). SDC research has also shown that 52% of drivers ignore the 70mph limit. The SDC has called for the introduction of average-speed cameras on all motorways to help cut speeding, which it claims will reduce harmful CO2 emissions by 1.4 million tonnes a year. Average-speed cameras are considered more effective at cutting speeding because they measure speed over an extended distance, rather than at a static point. Traditional Gatso-type cameras have been accused of increasing pollution because they cause drivers to brake suddenly and then accelerate hard once past the device. Introducing such cameras on motorways and urban roads would help encourage smoother, more economical driving, according to the SDS. Government ministers are also expected to approve the use of average-speed cameras on networks of urban roads where a 20mph speed limit is in force. London Mayor Boris Johnson has also said that he intends to introduce average-speed cameras on a 7.5-mile stretch of the A13 in London. • Calls for the introduction of pay-as-you-drive road charging. Stewart Davies, from the SDS, said: 'While information technology alone won't provide all the answers, it could go a long way towards making travel in the UK safer, more pleasant and more sustainable.